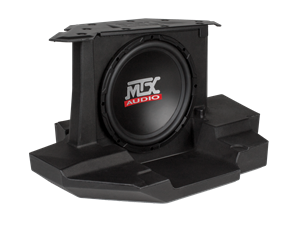 The MTX MUDPRC is designed for use with Polaris RideCommand entertainment systems and MTX vehicle specific subwoofer enclosures. 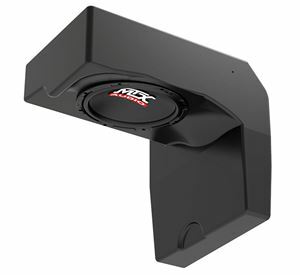 The integrated amplifier in the MTX subwoofer enclosure is specifically designed to maximize power while minimizing current draw on your vehicle's electical system. 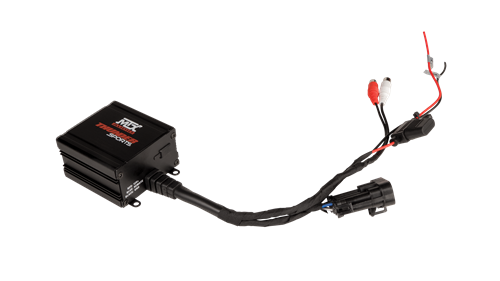 The Polaris RideCommand is equipped with an incredibly sensitive protect circuit that can cause output 3 to shut down when playing music. 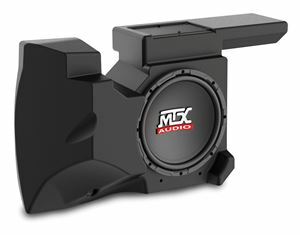 The MUDPRC is preconfigured from the factory to ensure proper play and outstanding sound from your subwoofer enclosure. The MUDPRC is only required when using the RideCommand entertainment system as a source for playing music. If using the MTX AWMC3 or a standard Bluetooth controller, the MUDPRC is not required. The unit should be connected to output 3 on the Polaris RideCommand module using the factory style plug and attached to the subwoofer enclosure via RCA cables (sold separately).